KANSAS CITY, Mo. 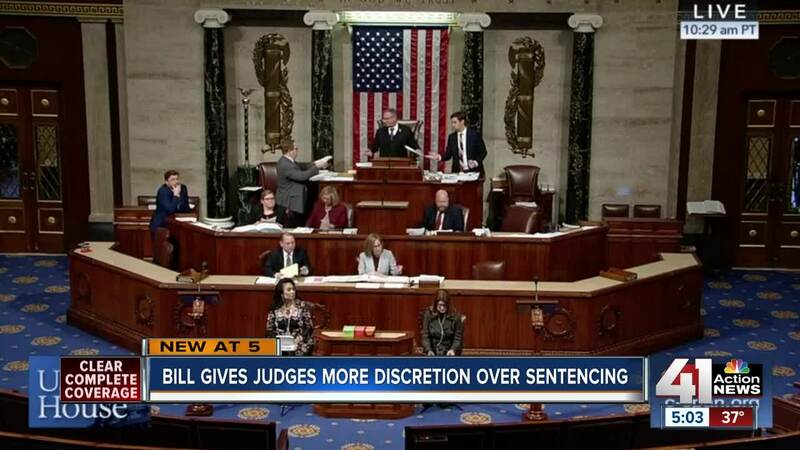 — This week, Congress passed the First Step Act, aimed at reforming the criminal justice system. At federal courthouses in Missouri and Kansas, people have been sentenced to 10 years or more in prison for non-violent charges. "We have people who have indeed committed crimes and some are serving what some consider a life sentence for non-violent drug offenses,” said Damon Daniel, President of the AdHoc Group Against Crime. There are some who say the criminal justice system is broken. In some ways Congress agreed and passed the First Step Act. The law would give judges more discretion in sentencing. It would put crack cocaine on an equal level as other drugs and it would also provide more access to education and resources for inmates when they leave prison. "It is also going to increase good-time from 47 to 54 days annually as prescribed by the initial intent of Congress,” said Louis Reed, National Organizer for Cut 50. It costs taxpayers nearly $37,000 a year to house one federal inmate. The Congressional Budget office says if the law is signed by President Trump, the inmate population will drop from 180,000 to 130,000 in 10 years. "That's really great savings when you think about tax dollars," AdHoc's Daniel said. "But I really encourage our community to think about, what does it mean for second chances and restoring justice?” said Daniel. The grassroots push was lead by a group called #Cut50. The group had support from people like CNN commentator Van Jones, Trump advisor Jared Kushner and celebrities like Kim Kardashian. Louis Reed is the national organizer for #Cut50. "I am also 13959014. That is my federal registration number. I served nearly 14 years in federal prison,” said Reed. Reed says the judicial discretion and resources moving forward is taking a big step forward. "There are people whose lives are literally languishing in federal prisons. They are not being educated, they are been shackled, they are in solitary, they are being released without identification cards and we have to do something and they responded to the call,” said Reed. There was a small group in congress who voted against the bill. Many in opposition said it was a soft stance on crime. President Trump says if the bill comes to his desk, he will sign it.